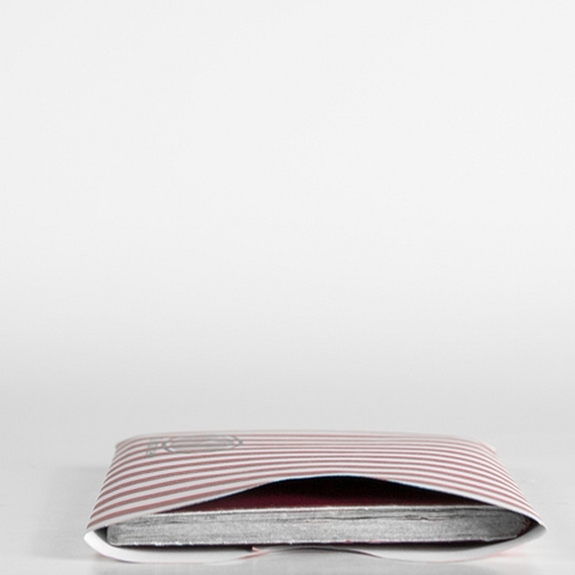 Protect your passport with our RFID passport sleeve from Big Skinny. Thieves can scan the RFID chip on your passport and steal your information. Our passport sleeve will help prevent that, and it's designed to accommodate today's thicker passports. Add it to your purchase of our super-secure passport holder/traveler wallet. 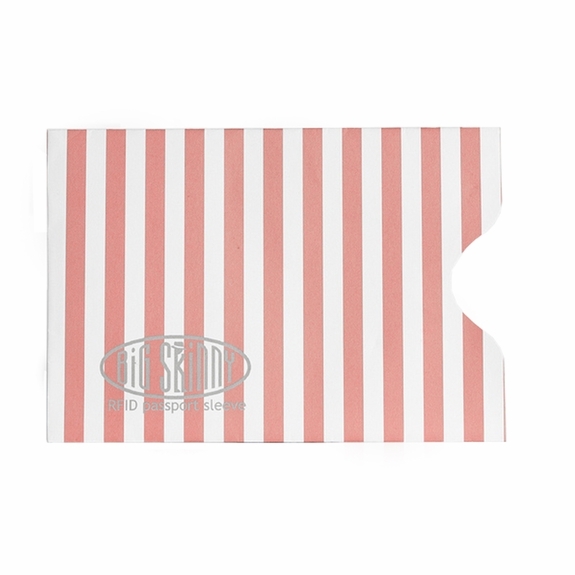 You can protect credit card RFID data theft while traveling and at home, too, with our RFID credit card sleeves. Many old-fashioned wallets have too-small pockets that make it tough to slide in credit cards with RFID sleeves. Our extra-large wallet pockets will easily fit RFID sleeves with credit cards inside. 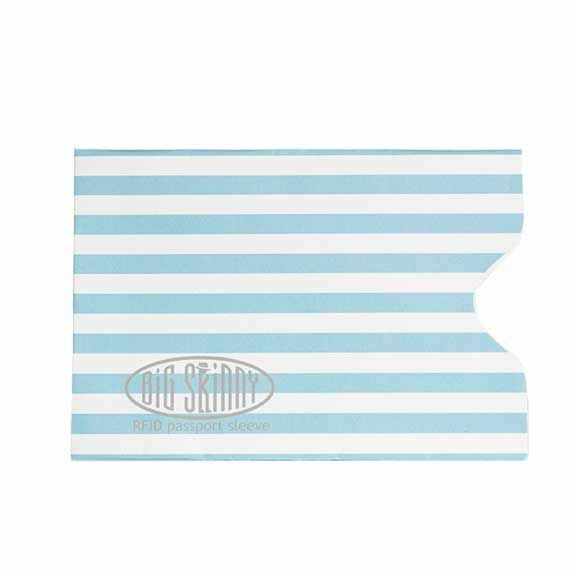 The rubbery non-slip coating inside each wallet pocket on any of our Big Skinny billfolds adds extra security by helping stop cards from falling out. Our RFID passport and credit card sleeves are a great addition to a Bon Voyage card for traveling friends or family, too. It's a perfect gift for your child's freshman year in college, especially if it's you who's paying the bills on that credit card. First time ordering these and our passports fit nicely without the bulkiness of other passport holders. Unfortunately, with all the identify theft, it's somewhat comforting to know our personal information is secure. For almost $5 I expect to get better quality than plain paper. It's torn easily. May be if they can change their material to be somethings like Tyvek that used by Fedex which is more durable that recycle paper that I got, I'd reconsider it. Never know how good RFID blocking it is, set aside. I don't have any immediate travel plans but thought it was a good idea to get this when I was ordering the RFID credit card sleeves. It fits my passport fine and doesn't add bulk or weight to the passport. Having the RFID sleeve ready means one less thing to do if I decide to take a quick trip. The sleeve doesn't quite fit the expanded passport. It feels very flimsy, like nothing more than a piece of paper. I don't think it's going to last very long. Used ours the entire trip. Well worth it. ProsProtects & keeps items from slipping out the bottom. I love the patented material. What a really cool idea! There are a couple things to note though. I hope this was not supposed to be a wallet for your passport. It is more of a supplement to a wallet. With that said, I had to cut the top of the sleeve so it could fit in my bigskinny passport holder.